Since most of the Countries in eastern part of Europe are very medieval; the feeling while roaming in the Big Cities is fairly similar. We try and create Variety in the sights so that Castles, Museums, and Cathedrals no matter how pretty shouldn’t be boring. We also believe that the real Beauty lies in the Countryside and therefore our stays in stunning remote sites appeals to our guests and remains with them for a long time. On your East Europe Trip, you can enjoy looking at top notch art, indulge in some scrumptious dishes, and experience the swath of Europe which is largely undiscovered by many indian travelers. 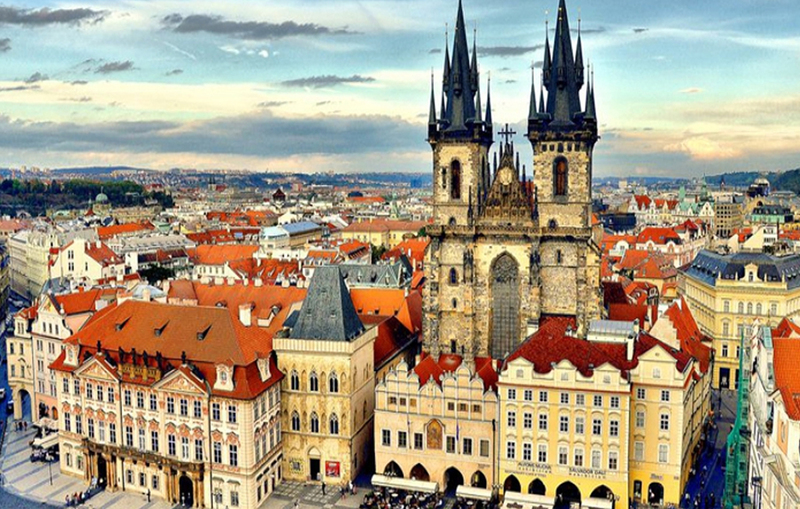 It offers rich culture and medieval architecture to look at. Major highlights here are Bucharest in Romania, Budapest in Hungary, Bratislava in Slovakia, Dubrovnik in Croatia and more. GLOBIMAX TOURS & TRAVELS offers you East Europe tour packages from major cities of India. We try our best to serve our customers with greatest comfort through our communication and network of offices around the nation. Most of our team members have before now been to the destination and that will surely add value to your East Europe holiday. Our strong suit is we serve vegetarian as well as Jain food on all our group tours. So hurry up, and plan your East Europe holiday trip with us.